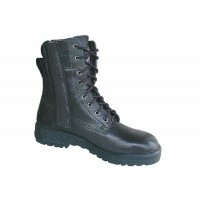 All Structural Fire Boots by Taipan Footwear feature a steel cap toe tested to Australian Standards and stainless steel mid-soles. Both Taipan #5090 and #5096 boots feature reflective tape also. 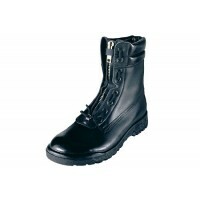 Taipan Boots are rated to 300°C heat resistance with non-slip and anti-static Direct Injection Rubber (DDR) soles. DDR moulding is unique to the emergency services. The nitrile foam low density mid soles are lightweight and have outstanding shock absorbing qualities with cushion comfort that allows the sole to flex for maximum ground contact. 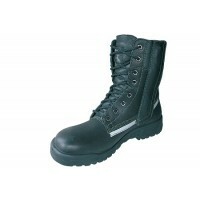 The high density, hard wearing nitrile rubber out soles are designed to provide maximum slip resistant qualities with increased surface contact for maximum traction for positive grip and extended boot life. The Taipan Boot tread pattern does not retain stones and dirt.